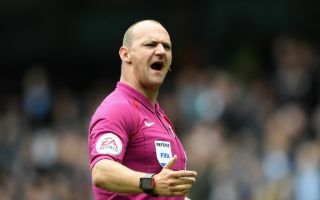 Premier League referee Bobby Madley quit his job due to a ‘change in personal circumstance’ this week. The story was originally broken by The Telegraph, who suggested that his decision to hang up his whistle MAY have been influenced by the leak of a video on social media. This prompted a huge spike in internet searches for ‘Bobby Madley video’. When no video could easily be found, online jokers sensed their opportunity. One outrageous rumour claimed, with no foundation whatsoever, that Mr Madley had been caught having sexual relations with a dog. Despite this clearly being total nonsense, ‘Bobby Madley dog’ and even ‘Bobby Madley Jack Russell’ – after the story became further embellished – began to trend heavily on Twitter. Rumours – either true or very, very false – tend to spread like wildfire on social media. And they often start with nothing more than a childish throwaway comment. In this case, it appears as though a Twitter user with less than 100 followers started the fire. A faceless Liverpool FC fan account, operating under the name ‘@AlissonHasHands’, tweeted at 5.37pm on Thursday night: “Somebody found footage of Bobby Madley noncing his dog”. Hours later, the internet was ablaze with this vile allegation. Three hours after posting the original tweet, @AlissonHasHands sent out another message to boast about how he or she had started the rumour and that they were an ‘ITK’ (Twitter speak for ‘in the know’). Shortly after came the admission that this ITK had made it all up. They added: “It’s just the first thing that came to mind, seems the kind of fella”. Spare a thought for Bobby Madley at what must surely be a tough time. He was a FIFA-recognised official – someone who (despite the inevitable criticism from fans) was highly respected in his field. One assumes that his decision to quit his job was not an easy one and that his personal issues could actually be quite serious. Being accused of “noncing his dog”, although clearly as a joke, has the potential to really hurt the bloke and his family quite a lot. Right, who the fucks got this video of Bobby Madley shagging a Jack Russell cause I wanna see it ??? BREAKING: According to several reports Bobby Madley, 32, has retired as a Premier League ref and rumours are that it’s because there’s a video of him shagging a dog going around. Thing is now, in the weird world we live in, even if Bobby Madley hasn’t shagged a dog, you know he’s going to be known as a dog nonce for the rest of his days. Poor blokes done for either way.